Boy Scout summer camp is "very different" from other kinds of camps. There are two kinds of people in the world — those who camp and those who don't. Maurice Aufderheide, who recently finished a three-year term as scoutmaster for Boy Scout Troop 924 in Livermore, is a camp person. "Going to camp is fun, " said Aufderheide. "I have been involved in Cub/Boy Scouts for about 20 years, " he said. "I've held almost every adult position in a Cub Scout Pack chartered by St. Michael Parish in Livermore. Naturally, he knows what Boy Scout Summer Camp is all about. "All Boy Scouts are members of a particular troop, which is effectively their Scouting family, " he explained. Everything that a Boy Scout does is "as a member of that troop." Boy Scout summer camp is "very different" from other kinds of resident camps, Aufderheide said. That's because it's built around the presumption that almost all boys attending will be coming as part of a troop, not by themselves. "You have to be a Boy Scout to go to one of these camps." Aufderheide belongs to the San Francisco Bay Area Council of the Boy Scouts of America, which has two summer camp locations: Wente Scout Reservation, which is just east of Willits, and Camp Royaneh, which is situated on a hillside surrounded by redwood groves just off the Russian River, west of Santa Rosa. The San Francisco Bay Area Council is one of four Boy Scout councils in the Bay Area. The others are the Alameda Council, Mt. Diablo Silverado Council and Piedmont Council. The Girl Scouts of Northern California has one council. The number of Catholic scouts in the East Bay Area is difficult to determine, said Bill Ford, director of CYO and Scouting for the Oakland diocese, because it depends on how the troops are supported. Some scouts are sponsored by Catholic groups and parishes while other scouts are in packs or troops that are sponsored by other religious groups and secular organizations. "We have about 48 boy scout units (cubs, scouts, Venturers) that are registered to Catholic parishes, " Ford said. The religious group with the most members in the Boy Scouts of America is the Church of Latter-Day Saints (Mormon). The LDS has made the BSA program its' youth ministry program. All young Mormon men are automatically enrolled, Ford said. Other churches or faith groups that also sponsor Boy Scout troops include the United Church of Christ, synagogues and Muslim temples. 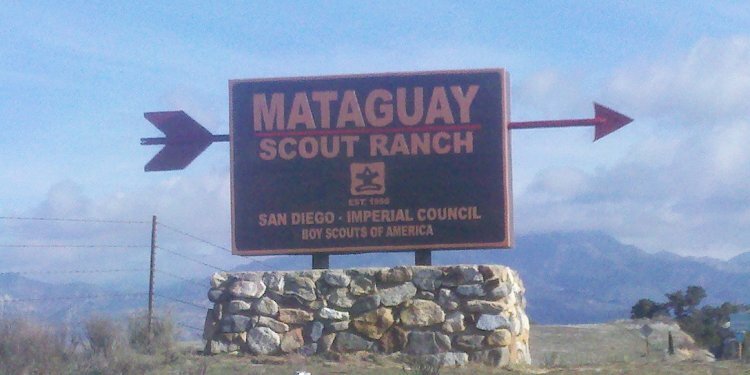 The San Francisco Bay Area Council of the Boy Scouts of America, which covers San Francisco and Alameda counties, offers "the most diversity of summer camp programs in northern California, " said Michael Andrews, who serves as camping director for the San Francisco Bay Area Council of Boy Scouts of America. Various East Bay districts offer Cub Scout day camps in Oakland, Castro Valley, Newark and Pleasanton during the month of June. A week-long resident camp and a weekend "adventure camp" will take place at Camp Royaneh in Cazadero and at Rancho Los Mochos in Livermore. A Boy Scout Exploration Camp will be held at the Youth Leadership Training Council in San Leandro from mid-June to early August. Boy Scout "summer camp weeks" will also be held at Wente Scout Reservation, Camp Royaneh and at Rancho Los Mochos. The Boy Scout Exploration Camp is $60 per scout per day and the cost includes lunch. The Mount Diablo Silverado Council, which covers Contra Costa, Solano, Napa, Lake counties and part of Alameda County, offer its' summer camp in six one-week sessions that are scheduled during June and July at Camp Wolfeboro near Bear Valley in Arnold. Cub Scout day camps will be offered in various districts that include Antioch, El Cerrito, Martinez and San Ramon, while "Webelos weekends" for cub scout age youth 8, 9 and 10 years old, also meet at Camp Wolfeboro. The Cub Scout Day Camp, offered by the Alameda Council of the Boy Scouts, is scheduled to take place at Crab Cove. This camp is held for all cub scouts, Tiger through Webelos. The cities of Piedmont and Alameda have very small independent BSA councils that only run Cub Scout Day Camps for boys graduating from grades 1-4, said Charles Howard-Gibbon, council scout executive of the BSA's Alameda Council. Neither of these two councils runs resident camps for older scouts.